Fans of quality Live Games will want to diarize November 22nd. This is the day that Bet365 Casino, the leading gaming site favored by South Africans, will be running its Live Games Giveaway competition. The prize pool in this super promo is R100,000, giving players plenty of incentive to not only enjoy great games but also put themselves in line to win great prizes. 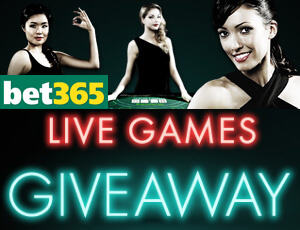 A total of 200 people will walk away with a prize in Bet365 Live Games Giveaway. All they need to do is play Live Baccarat, Live Blackjack, Live Roulette, Live Sico Bo or Live Casino Hold 'em at Bet365 on November 22nd and they'll be in the running for one of 200 prizes. To take part, players need to opt in at any time until the end of the tournament. Bet365 Live Casino is industry-famous, not only for its excellent range of games, but also because of its professional dealers who make playing on this platform a pleasure. Players can pick their favorite games and even their favorite live dealers (Euro or Asian) and start playing instantly. It is also worth noting that Bet365 is home to an excellent comp points programe which allows players to earn loyalty points depending on their rate of play. Each game qualifies for a different number of points, according to a chart found on the site. 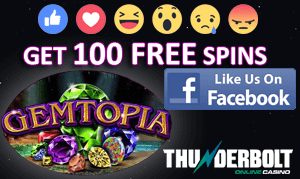 Every 100 points earned can be converted into a currency unit to use as real money to play at the site. Naturally, the more that is wagered, the more comp points can be collected. Only wagers made on real money games contribute towards the wagering requirements.